In the wake of the federal government shutdown that began on October 1, 2013, CMS issued guidance to the State Agencies regarding nursing home surveys and other compliance matters. The letter, “Contingency Plans – State Survey & Certification Activities in the Event of Federal Government Shutdown” (Ref: S&C: 14-02-ALL), outlines the functions that are affected by the shutdown. 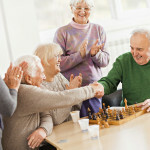 This post provides an outline of the functions that affect nursing facilities. Complaint Investigations alleging harm will continue to be performed. Enforcement actions that result from complaint investigations may be performed so long as there is a finding of immediate jeopardy or actual harm. Temporary management or ongoing monitoring is included. Revisit surveys that have been approved as exceptions or are necessary to prevent termination will continue. Revisits may occur when a provider has alleged compliance after being determined noncompliant and the revisit is necessary to determine that compliance and prevent a termination of Medicare. The termination of Medicare must be likely to threaten the safety of human life by creating negative consequences for beneficiaries. The length of time that these activities will be postponed in contingent upon the length of the government shutdown. CMS Compliance Group recommends that if your facility is in its survey window that you continue to prepare for your recertification survey as if it could happen at any time. If you would like to discuss how CMSCG can help you prepare for survey with our mock survey and other survey preparation services, please contact us.